Terry and Wayne offer a large variety of lavender products from their farm with over 5,000 plants and 40 different varieties. 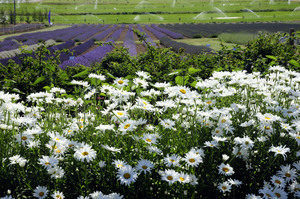 After years of gardening, Terry Pearson started to research her favorite plant, lavender. She learned about the different qualities that the plant possessed, and she and her husband Wayne decided that they wanted to own a lavender farm. 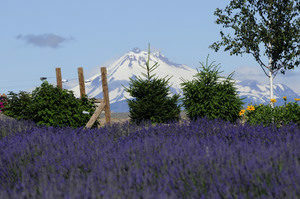 When they found that they could move closer to their grandchildren and have a successful growing area for lavender, moving to Central Oregon seemed too good to be true. Now their farm has over 5,000 plants and 40 different varieties. With the amount of plant products they have, Terry and Wayne are now constantly able to add to their collection and offer their customers a large variety of lavender products.